We receive many inquiries from real estate agents, sellers and buyers when a seller or buyer refuses to close on the real estate transaction, and the other party is left to deal with the consequences. Since real estate agents spend considerable time and money to sell properties for their sellers and to find properties for their buyers, they are also adversely affected by the inability to collect a commission at closing. The following provides a general overview of the remedies available to sellers and buyers when the other party refuses to close the real estate transaction. A real estate transaction is documented with a purchase agreement in which the seller agrees to sell and the buyer agrees to buy real estate. When a deal sours, a real estate attorney must first determine whether there is a binding purchase agreement between the parties. Many purchase agreements contain a wide array of contingencies, including contingencies for buyer financing, property inspection, the sale of buyer’s home, and title review. A purchase agreement is not an enforceable agreement to sell or buy real estate when one or more of the contingencies remain unsatisfied. When all contingencies have been satisfied, the purchase agreement becomes the binding obligation of the seller to sell and the buyer to buy the real estate according to the terms and conditions described in the purchase agreement. If the seller breaches the purchase agreement by refusing to sell the real estate to the buyer, the buyer generally maintains three courses of action: (1) the buyer may require the seller to “specifically perform” the purchase agreement by selling the real estate to the buyer;(2) the buyer may seek damages for the seller’s breach of the purchase agreement; or (3) the buyer may cancel the purchase agreement by voluntary agreement, by statutory cancellation or by judicial cancellation. Under Minnesota law, “specific performance” is generally available to the buyer when the seller defaults, because real estate is unique (no two houses, even if identical, can be located on the same parcel of real estate). Minnesota law recognizes that money damages are not sufficient to compensate a buyer for a seller’s failure to perform a purchase agreement. In the standard purchase agreement form approved by the Minnesota Association of REALTORS®, an action seeking the remedy of specific performance must be commenced within six months from the date that the buyer’s cause of action arose, which is typically six months from the date identified for closing in the purchase agreement. A successful action for specific performance will result in a court order requiring the seller to sell the real estate to the buyer. The buyer may seek money damages for a seller’s breach of the purchase agreement by suing the seller. In general, a buyer must sue the seller within six years from the date the buyers cause of action arose, which is typically measured from the failed closing date. In the lawsuit, the buyer must prove the damages caused by seller’s breach of the purchase agreement. If successful, the buyer receives a judgment, which may be voluntarily paid by the seller or collected from the seller using judgment collection techniques. Cancellation of the purchase agreement may be accomplished in the variety of ways listed above. The seller and buyer may voluntarily sign a cancellation of purchase agreement, which terminates their rights in the purchase agreement, and which may refund the earnest money to buyer, to seller, or a combination of the two. Statutory cancellation may be commenced by the buyer in response to the seller’s breach of the purchase agreement, which requires the buyer to serve a legal notice on the seller. If the seller fails or refuses to cure the default within the fifteen or thirty-day time period required by the notice, the purchase agreement is canceled and the buyer will generally be entitled to a refund of the earnest money. The buyer may also commence a legal action to terminate the purchase agreement by judicial action, but this remedy is rarely used by buyers due to the time and cost involved. If the buyer breaches the purchase agreement by refusing to purchase the real estate from the seller, the seller generally maintains three courses of action: (1) the seller may require the buyer to specifically perform the purchase agreement by buying the real estate from the seller, but this remedy is only available under rare circumstances; (2) the seller may seek damages for the breach of the purchase agreement; or (3) the seller may cancel the purchase agreement by voluntary agreement, by statutory cancellation or by judicial cancellation. The remedy of specific performance by a seller requires additional comment. As noted above, Minnesota law recognizes real estate as unique, but when a buyer defaults, the seller maintains the real estate. As a general rule, Minnesota law requires the seller in a failed real estate transaction to mitigate damages by selling the real estate to another buyer while pursuing a legal action against the buyer for money damages. Specific performance may be available to a seller under limited circumstances when the seller’s damages cannot be easily determined, and the real estate is depreciating. Again, the standard purchase agreement form approved by the Minnesota Association of REALTORS® requires that any action seeking the remedy of specific performance must be commenced within six months from the date that the sellers cause of action arose, which is typically six months from the date identified for closing in the purchase agreement. Similar to the discussion above, the seller may choose or be required to pursue money damages for a buyer’s breach of the purchase agreement by commencing a legal action against the buyer. In general, a seller must commence an action for damages within six years from the date the seller’s cause of action arose, which again is typically measured from the failed closing date. In these legal proceedings, the seller is required to prove the damages caused by buyer’s breach of the purchase agreement, which is measured by any difference in the sale price to the first and second buyer, and then adding any related expenses incurred by the seller in maintaining the property for sale following buyer’s breach of the purchase agreement. If successful, the seller receives a judgment, which may be voluntarily paid by the buyer or collected from the buyer using judgment collection techniques. Sellers often choose cancellation of the purchase agreement in failed transactions, because the seller cannot sell to a replacement buyer while subject to the first purchase agreement. If the seller required sufficient earnest money in the purchase agreement to compensate for the failed transaction, statutory cancellation may be the best remedy for a buyer’s breach of the purchase agreement. Through statutory cancellation, a seller may cancel the purchase agreement within fifteen or thirty days of serving the legal notice, and the seller will generally be entitled to keep the earnest money as liquidated damages. When the earnest money is not sufficient, the seller may pursue a voluntary cancellation and require the buyer to pay additional compensation for seller’s agreement to cancel the purchase agreement. Under certain circumstances, the seller may wish to pursue a judicial cancellation to terminate the obligation to sell the property to the defaulting buyer, but request that the purchase agreement remain in full force, allowing the seller to pursue damages against the buyer. Whenever a seller or buyer breaches a purchase agreement, each party should seek legal advice from a real estate attorney: to the breaching party on the risks of failing to perform, and to the non-breaching party on remedies for the other party’s failure to perform. In many cases, there are creative alternatives for a seller and buyer to minimize risk in a failed transaction. Any real estate agent involved in a failed transaction may also want to seek legal advice from a real estate attorney to determine whether a commission has been earned and may be collected. Chad Johnson is a founding partner of Hellmuth & Johnson, and serves as the firm’s Managing Partner. 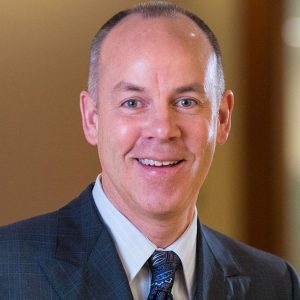 He founded Hellmuth & Johnson after just two years of practice, growing the firm on the strength of its loyal clients and experienced attorneys to become one of the 20 largest law firms in Minnesota. Commissions: When is an Agent Entitled to Payment?